The Classic Plus Series Material is the most popular in the Industry. It combines the strength and waterproof qualities of PVC with the durability of a polyester backing. 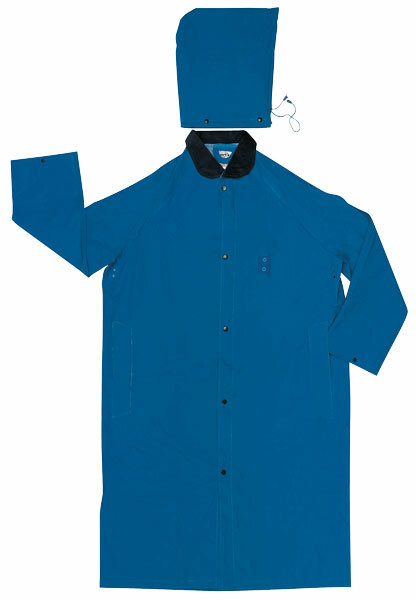 The 243C blue 49" coat features a corduroy collar, snap front, take up snaps at the wrists, detachable hood with drawstring, and 2 reach through pockets. Come back to the Classics for your protective wear needs.